We think the Highlander makes the most sense either as a base four-cylinder model or in fuel-stingy Highlander Hybrid form. At the price of top V-6 Limited models, you might as well choose something with more luxury cachet. The 2012 Toyota Highlander and Highlander Hybrid to roomy, three-row family crossover wagons what the Camry is to mid-size sedans: comfortable, safe, and full-featured—but more than a little bland. 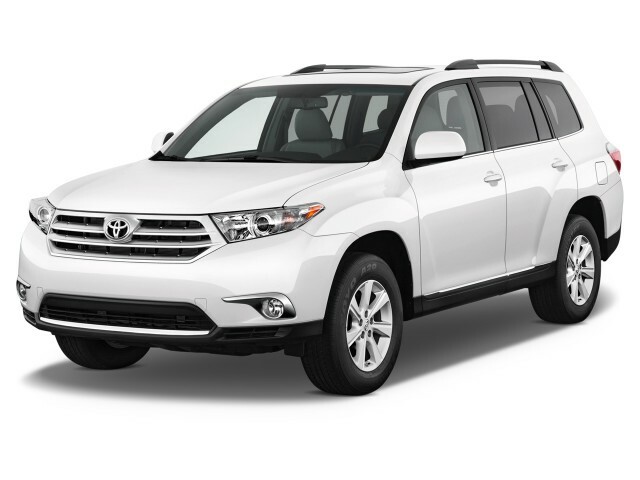 The 2012 Toyota Highlander is one of the best-selling vehicles with a third-row seat, and it's easy to see why. For a base price of well under $30,000, the very substantial Highlander offers lots of usable space, a comfortable ride, and most of the features busy parents want. And for some extra loot, the Hybrid model brings fuel economy figures approaching 30 mpg to this big utility vehicle. 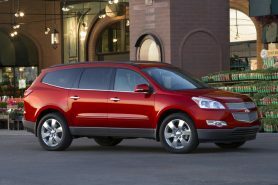 The Highlander got just a little larger but clearly stepped up a size class when it was last redesigned, for 2008, moving up from the likes of the Ford Edge to true three-row crossovers such as the Chevrolet Traverse. 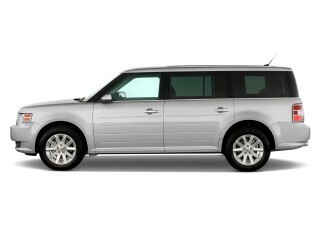 But big and bland are the operative words; even in that the Highlander remains one of the more anonymous entrants. It has sleek, somewhat rounded sheetmetal, but it's a bit slab-sided and far from voluptuous. The front-end now fits in more clearly with Toyota's cars like the Camry and Venza, and its rear styling is much cleaner than the cluttered, spare-tire-adorned RAV4. Inside, the Highlander's cabin appointments appear downright drab in many of its guises; but it arguably feels better than it looks. There are essentially three powertrains available on the 2012 Highlander. Its base four-cylinder produces 187 horsepower, and it does just fine with front-wheel drive and a six-speed automatic. While it can deal alright with heavier loads, too, fuel economy isn't stellar. The same is true of the much more lusty 270-horsepower, 3.5-liter V-6 Highlander--though the five-speed automatic seems to take some wind out of it. EPA ratings are all mid-pack for all Highlanders save for the Hybrid model. With an engine displacement now at 3.5 liters, and net horsepower 280 hp for the hybrid system, this model is the way to go for those who want something very big, yet green: fuel economy bumps up to 28/28 mpg. As for the driving experience, don't expect much from it. All of the Highlander models tend to lull you into simply setting the cruise control and conversing with passengers; it's very softly sprung, and the electric power steering tends to be light—too much so, we've observed, on the highway. The optional four-wheel-drive system does give it a chance at slogging through a muddy driveway, deep snow, or rutted trails; Highlander Hybrid models get a different AWD system that uses electric motor power exclusively at the rear wheels. The 2012 Highlander looks big from the outside, and it delivers on that impression inside. Even bigger adults will fit in the second row—and that seat has a clever middle seat that stows inside the front console when not needed, leaving a walk-through to the third-row seat. No adult will want to sit in that third row for more than a few miles, but the space is large enough for children to feel comfortable. Those concerned about safety won't have anything to worry about here. The Highlander has been named a Top Safety Pick from the IIHS, with top scores in all categories, and it gets a mix of four- and five-star ratings in the tougher new federal tests. The roster of safety features is up to par in this class, too, with downhill assist control and hill-start assist on AWD models. Three trim levels are offered for non-Hybrid Toyota Highlander models: base, SE, and Limited. All have cruise control, power features, and a third-row seat. A 3.5-inch multifunction display, satellite radio and USB port are added in the SE, while the Limited gets leather-trimmed power seats. Base and Limited trims apply to Highlander Hybrid models, with equipment roughly in synch. A power moonroof, a navigation system, sound-system upgrades, and a power tailgate are among the many option possibilities that can potentially drive the bottom-line price up by thousands. Crossovers like the Ford Explorer and GMC Acadia make styling statements; the Toyota Highlander has no comment. The original Toyota Highlander had it right. When Toyota first got into the mid-size crossover segment, it styled the then-new Highlander like a Subaru--frugal-looking, relentlessly boxy, and honest about its intentions. We don't think today's Highlander is as successful in its plainness, though the interior seems well built. Unlike the five-seat Venza crossover, there's almost no drama in the Highlander's shape. Even if it weren't up against silhouettes like that, or like the Explorer's, or even the Honda Pilot's, the Highlander would look anonymous. Versus the first-generation Highlander, the current ute looks bigger, even bloated from some angles, and drab. Toyota's rarely stood out for styling, but the Highlander seems exceptionally parched for inspiration. A few small distinctions divide the Hybrid models from the gas-only Highlanders. Mostly, it's differently shaped fog lamps, some blue plastic and chrome trim that draw the visual line between the different versions. Call it unexciting--and you'd be right--but the Highlander's well-built, well-equipped cabin puts all the controls where they need to be. It's not particularly stylish, which seems to be just fine with hundreds of thousands of Highlander buyers. A simple binnacle covers the primary gauges, which are tucked into cut tubes of plastic, and Toyota's traditionally large buttons and knobs drive the climate and audio controls. A band of metallic plastic trim changes to woodgrain on the Limited version, which also dons leather for its seats, which warms up the interior immensely. A small LCD screen houses the rearview camera on some trim versions; a bigger LCD on models with navigation dominates the center stack, giving some relief to the Highlander's thick dash. A soft suspension gives the Highlander predictable but unenthusiastic handling--but the V-6 is torquey. Excitement is off the options list, but the Toyota Highlander comes in driving flavors that will appeal to frugal shoppers, Restoration Hardware buffs, and green-agenda drivers. In its least expensive form, the Highlander derives acceptable power from a 2.7-liter four-cylinder with 187 horsepower, coupled to a six-speed automatic and powering the front wheels. The four isn't as smooth as it could be, and 0-60 mph times are just a tick or two under 10 seconds, but it's a relative bargain, since few other crossovers of its size even offer a four-cylinder drivetrain. Most buyers will spend up to the V-6 version, which competes directly with the likes of the Pilot, Traverse, and the new Explorer. It's a 270-horsepower, 3.5-liter six that's an option on models below the Limited, where it's standard. The six's torque is strong, the engine's smooth, and for towing, it provides the power to pull up to 5,000 pounds (with an add-on package). It's teamed with a five-speed automatic that could use an extra gear and some new software: we think its shifts are sluggish, and the gears are staged for gas mileage, not to extract maximum swiftness. The Highlander Hybrid benefited from a power grab last year. The V-6 it pairs with batteries and motors grew from 3.3 liters to 3.5 liters, and counter to logic, maybe, it fares better in fuel economy while netting 10 additional horsepower, for a total of 280 net horses. 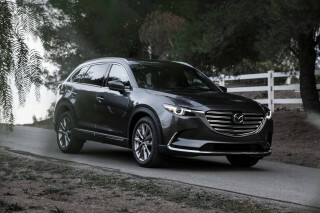 The updated Hybrid's also fitted with the technology freak's version of all-wheel drive: two electric motors where the transmission would go, plus one more electric motor that provides all-wheel drive by powering the rear wheels. All these pieces knit together for V-8-style acceleration, with a baked-in "EV" driving mode that allows you to coast on battery power alone for a handful of miles. However, the Hybrid does run at least a theoretical risk of cutting out when it's most needed—since the control software will shut down the motor if it tries to draw too much power under extreme conditions. Gas-only Highlanders also can be ordered with four-wheel drive. With 8.1 inches of ground clearance and available all-time four-wheel drive (with a 50/50 torque split), the Highlander has the goods to get through a muddy driveway or deep snow, along with rutted trails. All told, even with the V-6's rippling torque, the Highlander is no driver's car. The SE model makes an effort at good driving dynamics, but the base and Limited editions are too softly sprung to be interesting on a twisty road. The electric power steering offers zero feedback, and the springs and dampers feel mushy. It's versatile and spacious, and the Toyota Highlander now has a standard third-row seat. If it's people-toting size you're after, the Highlander's in the same league as the Ford Flex, Chevy Traverse, and most of the other big seven- and eight-passenger crossovers. The Highlander's front seats are easy to climb into--the so-called step-in height is at an ideal adult height--and the seats themselves are nice and wide, though they're pretty flat, too. The Highlander's head room soars, even in the second row where the roofline tapers ever so slightly, and leg room is ample too--the Highlander's middle seat reclines, and can be configured with a "Center Stow" seat that provides a middle seat, or folds out of the way so parents can climb into the standard third-row bench to load in kidlets. Until this year, the Highlander could be ordered as a five-seat wagon. The third-row seat is now standard, and it's the usual mixed bag, compromised in the same ways other three-row vehicles are. No adult would want to sit on the vinyl-upholstered bench for very long; it's roomy enough for kids who can entertain themselves, and small adults who don't know any better. Behind the seats, the Highlander offers a swell amount of interior storage. The center console is vast and deep, and bins on the doors will easily hold iPads and game controllers. And while the Highlander can only boast a narrow strip of cargo space behind the third-row seat, it can be folded flat to expose a deep, spacious cargo well that leaves room for five passengers plus a Tums-inducing visit to Costco. Very good crash-test scores give the Highlander a safety edge, though it trails on the latest safety technology. With both crash-test agencies reporting in on the Highlander, it's clear the big Toyota crossover is a safe vehicle. The National Highway Traffic Safety Administration (NHTSA) changed its ratings and criteria for the 2011 model year, and under the revised scoring, the Highlander earns a four-star overall rating, with a five-star score for side-impact protection. Over at the Insurance Institute for Highway Safety (IIHS), the Highlander gets a "good" grade in every test conducted by the insurance industry-funded group. Since it's also passed the new roof-crush standard added to the IIHS' checksheet this year, the 2012 Highlander earns the insurance industry-funded group's "Top Safety Pick" award, too. The Highlander's long list of standard safety equipment includes dual front, side and curtain airbags, as well as a driver knee airbag; daytime running lights; downhill assist control on 4WD models; and hill-start assist. A rearview camera is standard on the SE, Limited and both Hybrid models, and it's an option on the gas-only base Highlander. 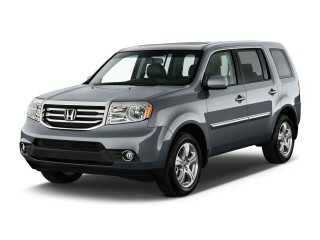 However, the Highlander lacks more advanced features like blind-spot monitors and adaptive cruise control. Standard features make every Highlander a good family vehicle, and V-6 versions can get quite entertaining. Since it's pitched at families accustomed to a certain degree of convenience, the Toyota Highlander comes with a long list of standard features. All versions have power windows, locks and mirrors; air conditioning; cruise control; a tilt/telescoping steering wheel; and an AM/FM/CD player with an auxiliary port. The Highlander SE adds on more audio functions--satellite radio, Bluetooth streaming, a USB port--along with leather seats for first- and second-row chairs. It also sports a moonroof, a power tailgate, and a power driver seat, as well as a 3.5-inch LCD monitor in the dash that's used to display vehicle functions. Spend up to the ne plus ultra Highlander Limited, and the convenience scale tips with leather-trimmed power seats, 19-inch wheels, three-zone automatic climate control, dual power front seats, and the Center Stow Seat, as well as woodgrain trim. If you're selecting a Highlander Hybrid, your choices are more limited, as it's only offered in Base and Limited trim. The standard Hybrid equals the base gas-powered Highlander's features, while it adds UV-reducing glass and the 3.5-inch LCD display, which is used for the rearview camera's readouts. It also comes with Bluetooth, XM satellite radio and a USB port. The Hybrid Limited tops off the Highlander range with 19-inch wheels, more chrome trim, and a power liftgate. Options on various models include a navigation system, real-time traffic, a towing package, and a rear-seat DVD entertainment system. The most powerful Highlanders don't get great gas mileage, but they're balanced out by four-cylinder and Hybrid versions. Three powertrains are available to those who like the Highlander's crossover credentials. Some offer good fuel economy for the size, but the most powerful version is just class-competitive. In its least expensive version, the Highlander comes with a four-cylinder engine and front-wheel drive. 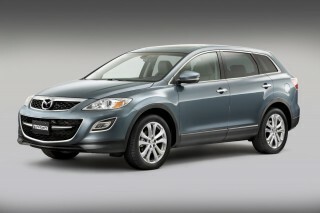 That version rates 20/25 mpg in EPA tests, while opting for the front-drive V-6 drops fuel economy to 18/24 mpg. 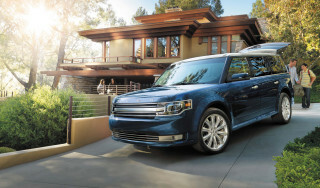 Upgrading to all-wheel drive on the V-6 pushes gas mileage down to 17/22 mpg, about what you'd get in a Ford Flex. With the changes to its gas engine, the Highlander Hybrid could have lost ground in the fuel economy standings--but it doesn't. Though it's bored and stroked out for 10 more net horsepower, the Hybrid's fuel economy actually increases to 28/28 mpg for the new model year. That's up from the 2010 ratings of 27/25 mpg. While Toyota is working on an all-electric version of its seven-seat RAV4 crossover with Tesla Motors, it's not expected to build a Highlander EV. Looking for a different year of the Toyota Highlander?